Android being a hugely popular mobile operating system attracts businesses to have their presence registered on its app store so that they can reach out to the 1.5 billion Android users across the globe. It goes without mention that people are now hooked on to their Android smartphones and looking for great apps with high usability quotient. So how do the businesses cater the quality conscious users who lap up cleanly built apps but discard the ill-built ones? They do so by hiring Android app developers and the paychecks for them is getting fatter with each passing day. Those who are interested in taking up Android app development as a career for obvious reasons need to be proficient in JAVA and the Android APIs. Although Google provides all the technological assistance to the developers, they need to have good command over Android architecture, Activity lifecycle XML/JSON parsing, media handling, map integration and lot of other concepts. This is where the role of good Android development books come into play. The beginners as well as the experts brush up their Android skills by going through these books once in a while. It is one of the most comprehensively written books on Android app development. The book contains examples of live code to elaborate on every concept and this is what makes the book a must-read by an aspiring Android developer who wishes to create great Android apps. The book makes the Android architecture clear for the readers and also makes them aware of the different APIs that can be used to add features to the app. 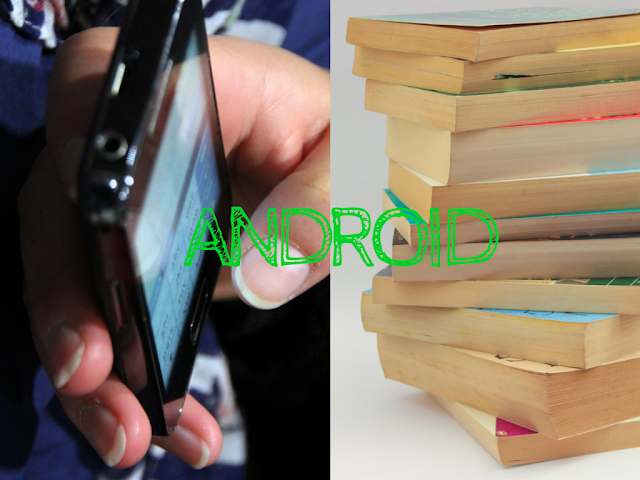 Android recipes help the readers in learning the use of external libraries as well. The book has been authored by Dave Smith and Jeff Friesen. The book focuses on practical aspects of Android app development and teaches the readers to start developing apps right from the onset. It starts with the basic principles of app development and proceeds to the advanced concepts in a gradual manner that engages the users. As the book has been written in the form of conversation, the readers would feel as if a personal tutor is teaching the concepts. There are practice exercises given at the chapter’s end that help in brushing the programming skills. This book has been written by Bill Philips & Brian Hardy. Head First Android Development book is touted as a brain-friendly guide that makes the process of learning the concepts of Android app development quite easy and enjoyable for the users. The readers get a hands-on training on how to build a killer app by learning app structure, database creation, etc. It guides you to make your app compatible with a range of smartphones and tablets. In order to start making use of the book, you just need to know the basics of Java. It has been penned by Dawn Griffiths and David Griffiths. Greg Nudelman is a specialist of mobile app development and has provided some very useful tips for Android app development to enhance the user experience of the app. This book is highly recommended for the advanced level developer and makes them aware of the best practices followed to ensure great user interface. It assists the developers in devising effective strategies for designing an app that is compatible with multiple devices. The name of the book already suggests that this book is for those who have not attempted Android development before. Written by Barry Burd, the book begins from teaching the users how to install the SDK, IDE and APIs for Android app development and guide them through the process of configuring the development environment before they begin to write the code. It gradually moves on to advanced concepts like classes, database, widgets, multiple screens, and so on. This book guides you to develop apps that leverage the features offered in Android 2 onwards. It does not elaborate on Android development environment installation & configuration and assumes that the reader is aware of Eclipse or Android Studio and concepts of Java programming. The book commences with Hello World examples and proceeds to include concepts like menu, layout, location integration, JSON/XML parsing, and others. The book lets the readers understand the basics of the development process and guides them to the development of simple apps and progresses gradually to more complex apps. The book expedites the learning process through examples and you can start to develop apps in a matter of a few days. As the book is aimed towards the beginners, the IDE and SDK installation process is also explained properly. It has been written by Ed Burnette. This book elaborates on the importance of the user interface design for Android apps and guides you through the process of building beautiful, interactive and engaging UIs. This book is aimed at advanced developer but beginners can also imbibe a lot from it. The book explains some tips and techniques to help you create designs that stand out from the crowd. There are sample codes provided to help you understand better and faster. The book has been authored by Ian G. Clifton. Android apps also subsume games that are played on Android platform. This book is meant for those developers who wish to develop interactive Android games. It is one of the best books to start for Android game development enthusiasts. The author Mario Zechner has covered all the major aspects of Android App development like receiving users’ input, play sound, collecting the information on the device’s resources and implementing Open GL for game rendering on the mobile device. Source code has been provided with the book that can be used in your game projects. The way this book is different from others is the fact that it focuses on Android app development for Tablets. There are many aspects of an app that change when the target devices are tablets. The book begins from the ground up and teaches you to develop your own app for Tablets starting from Android 3.0 onward. Both 2D and 3D programming have been discussed in the book. The book has been authored by Wei-Meng Lee. Android app development is a lucrative career choice and these books will surely help you understand the process in a crisp and clear manner. These Android development books can also be used by those who wish to develop their own app and set up a start-up without hiring an app developer. Bryan Lazaris, the writer of this blog is a senior app developer working at HireWebDeveloper - a renowned app development company based in India. Bryan has a flair for writing on different technological and design aspects of mobile apps. When not coding some path breaking apps, he is busy giving crucial insights and information through his blogs.